For extracting oil from medical marijuana, as well as other herbs, specialty parchment paper is used. The medical marijuana parchment paper is a non-stick, high quality paper that is grease and oil resistant, making it great for wax, dabs, and other concentrated medicinal oils. It is also commonly used by dispensaries as packaging for individual concentrate dosages. Parchment paper squares are used in the extraction process to gather rosin. The bud of the marijuana plant is folded between a parchment paper square and squeezed using a hot press to push the oils from the cannabis. This helps remove residual solvents and leave a pure resin. The parchment paper helps capture the residual oil while not absorbing into the paper. 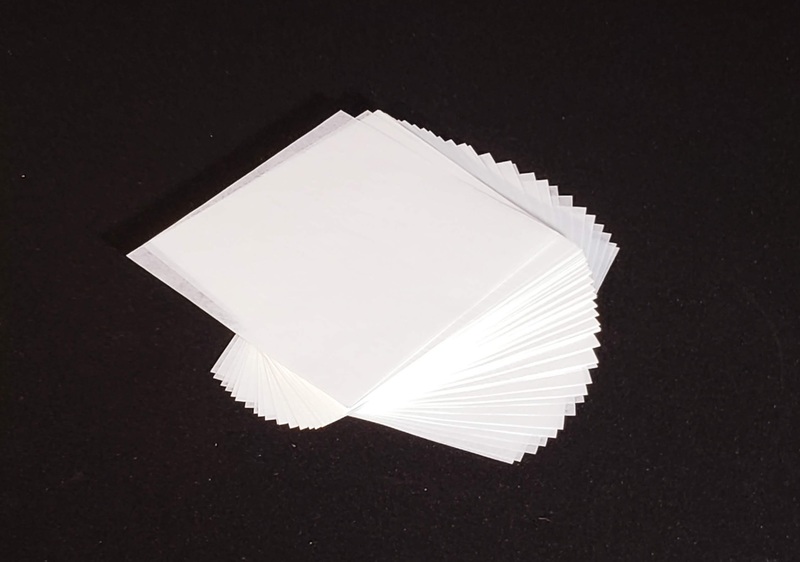 Cheever Specialty Paper offers parchment paper squares for medical marijuana applications. We have worked with the labs, growers and dispensaries to help build their brand, including a variety of paper and extracting methods. With over 25 years of experience working with major mills producing Parchment paper, we offer the paper products to meet your application needs. Our pre-cut parchment paper squares are ideal for medical marijuana packaging and storage. The silicone coated side prevents the product from sticking or absorbing, making it a great, cost-effective alternative to regular containers. The parchment paper also allows for high temperatures, meaning it can be used for the extraction of rosin allowing for the capture of oils, dabs, and concentrates. In addition to parchment paper, glassine paper is also being used in the medical marijuana industry. Glassine is a thin, smooth, almost opaque paper that provides a moisture barrier and prevents items from sticking. Though glassine envelopes are frequently used for storing stamps, packaging food, and protecting photographs, it also works great for storing buds. The process of creating glassine paper is known as supercalendering because it is passed through a supercalendar machine, or a series of alternating steel and soft cotton or other fiber-covered rolls. This process polishes the paper, giving it an enamel-like finish. Our pre-cut parchment paper squares also make a great alternative to traditional parchment paper in the baking industry. Because the Kraft paper has a special silicone coating, it’s able to withstand temperatures of 425 degrees F for 30 minutes. It offers a slightly lower cost than Silicone-coated parchment, and it is coated on one side, leaving the other side open for printing. The silicone coating on one side is ideal for easy removal of baked goods, leading to food waste reduction. The silicone is also an ideal material because it’s pliable, heat-resistant, and has a natural lack of toxins. Depending on your application needs, our silicone-coated baking paper can be a great alternative to silicone-coated parchment. In addition to producing high quality paper products, our talented team of packaging designers and manufacturers can work with you to customize our products for your brand. Cheever works with dispensaries, farms, and other industries to produce custom packaging. Particularly on our Silicone Coated Baking Paper Squares, we can customize each piece to display your brand name or logo. Almost everything we do at Cheever is specialty, meaning it is custom-made just for our customers. 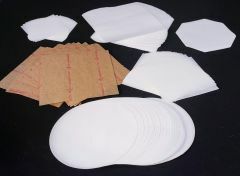 We go beyond stock items to provide the right paper products for your application needs. We work directly with the mills to get the best volume for your project, and we are encouraging of large volume orders. However, we will always try and provide samples of the product for you to test and ensure that the final product is right for you. Cheever Specialty Paper is your one-stop-shop for specialty paper, film, and tape. With over 75 years of experience, we are experts at delivering cost-effective supply chain solutions for a variety of industries. We will work with you to create the custom paper that is right for your application. Contact us today for paper, film, and tape products and solutions, or request a quote today.